The health organisation OraTaiao convened a group of experts to analyse the climate change policies of NZ political party policies. It gave the highest grade to the Green Party, then the Labour Party, and then The Opportunities Party (TOP). This blog takes a supplementary approach, looking at actual climate related actions taken in the last Parliamentary term (since late 2014). It suggests that relative to its power in the Parliament, the Green Party has done the best. The National Party has an overall poor performance grading – given the many opportunities it has had in Government. Various internet searches, e.g. for involvement in a key report  and attendance at the Paris Climate Conference. The identified actions are shown in Table 1, and in relation to the resources available to it, we gave the highest grading to the Green Party. It shows (somewhat in contrast to Labour and NZ First) what an opposition party is able to achieve during a single electoral term. The most powerful political party in this last electoral term, and the party which led the Government, was the National Party – but its climate change actions were on the whole poor. In quite a number of areas it made progress, but some of these actions are highly qualified. For example, it did sign up to the Paris Agreement – but so did every other country except Syria and Nicaragua. It has funded housing insulation, but despite only a third of houses being insulated, it has also scaled back the level of funding and announced the end of the retrofit programme in the middle of 2018 (despite the health and economic case for this investment being very strong  ). Indeed, the net impact of National Party activity in government in this period was poor overall from a climate response perspective as they didn’t fix the most critical measure: ensuring an effective price on carbon that has meaningful impacts across the relevant sectors. That is, it has not adequately fixed the Emissions Trading Scheme (ETS) or replaced it with a carbon tax or other credible method to apply a cost to activities that promote climate change. The National Party also potentially slowed progress on emission reduction with its focus on such areas as road building, extending subsidies to the aluminium smelter (which is a relatively large electricity user), and subsidising oil and gas exploration. The latter problem persists from when this party’s climate change performance was reviewed in 2011 . Indeed, a key aspect of National’s overall performance is that, despite its involvement in Government in the last nine years, carbon emissions have largely risen, when the opposite is required. All the seven parties studied are to be congratulated for their participation in the cross-party process of preparing the Globe-NZ Net Zero Report . But here again there was very uneven contribution – with the Green Party a clear leader in proportional terms (Table 2). It had a similar absolute level of participation to the National Party, despite the latter having over four times as many MPs in Parliament. We recognise that there is a subjective element to our grading – but by itemising the various actions in Table 1, readers can come to their own conclusions (and they are welcome to add comments at the end of this blog). Moreover, in a Parliamentary system, executive action essentially falls to the Government ­– the parties in power – and the principal role for opposition parties is to critique the Government’s role. This certainly happened, but was not part of our grading system. For example, the Green Party and Labour issued many media releases (e.g. see here) criticising National’s actions or lack of action, and supporting independent calls for policy action – such as the Royal Society’s report on climate change. The focus on actions in this review also did not adequately capture lost opportunities. For example, the three parties who were coalition partners providing “confidence and supply” in the last Government (Māori Party, United Future and ACT) can be considered as committing failures of omission. This is because none of them appeared to use their influence as a coalition partner to move the Government towards more positive climate action. Despite these limitations, we consider that it is useful to document past behaviour as described here. With this and the parties’ proposed climate policies, voters will have additional information to inform their voting decisions. Green Useful actions: It provided the key role (the Chairperson: Dr Kennedy Graham) and played the strongest role in proportionate terms amongst the larger parties in the Net Zero Report  (see Table 2).It sent four MPs to the Paris Climate Conference in 2015 (see Table 2). It hosted a cross-party “Conference on Climate Protection” on 25 September 2015 in Parliament. It conducted a survey of DHBs on climate change issues and has actively promoted the links between climate change and health. It tried to re-engage with a memorandum of understanding with the Government on housing insulation, but this initiative was not successful. Māori Useful actions: It played a role in the Net Zero Report (see Table 2).While not specifically climate actions, the Party has listed various actions under the “achievements” section on its website that have probably contributed to Māori economic and social development (including Treaty Settlements). These will probably have helped improve the resilience of Māori communities to future adverse climate change impacts. Problematic actions: Nil identified, but see the main text around being a coalition partner. United Future Useful actions: Played a role in the Net Zero Report (see Table 2).Problematic actions: Nil identified, but see the main text around being a coalition partner. ACT Useful actions: Played a role in the Net Zero Report (see Table 2).Problematic actions: Nil identified, but see the main text around being a coalition partner. NZ First Useful actions: Played the 2nd strongest role in proportionate terms amongst the larger parties in the Net Zero Report (see Table 2).Problematic actions: Nil identified. Labour Useful actions: Played a role in the Net Zero Report (see Table 2).Sent one MP to the Paris Climate Conference in 2015 (see Table 2). Problematic actions: Nil identified. However, its failure as the main opposition party to assertively hold the government to account on climate change is arguably problematic. National Useful actions: As the main party in Government in the last electoral term, it recently performed some modest reform of the ETS, but major problems with the scheme persist (see below).It signed up to the 2015 Paris Agreement (though the emission reduction goals are relatively modest compared to other countries and the necessary policies to meet the commitments may not be in place). It has provided climate-related support for other countries, mostly in the Pacific. It provided extra investment in public transport (including boosting rail in Auckland), cycling infrastructure and (modest) incentives for electric vehicle uptake. It provided ongoing support for research (eg, the Global Research Alliance on Agricultural Greenhouse Gas Emissions). In terms of forestry, it invested in the Afforestation Grants Scheme and the Permanent Forest Sinks Initiative to encourage more planting. It played a role in the Net Zero Report, albeit a disproportionately small role (see Table 2). It sent three MPs (including the Prime Minister) to the Paris Climate Conference in 2015 (see Table 2). Small indirect benefits will arise from Government actions to expand broadband infrastructure (eg, facilitating working from home) and pest eradication support (reducing possum damage to carbon sequestering forests). Problematic actions: The recent ETS reforms can be considered highly deficient given all the chronic problems with the scheme [8-11]. 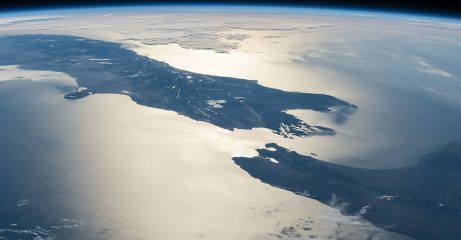 These problems include there still being no floor price, provision of a large number of free emissions units (with only gradual phase out), and indefinitely deferring the inclusion of agriculture (around half of NZ’s emissions). The allowance of an influx of cheap and essentially fraudulent international emission units , was a serious problem for NZ credibility in being a responsible developed nation. It has supported very large investment in roading expansion locking in future vehicle emissions. It has been criticised for reducing its expenditure on housing insulation support programmes (reducing the 2016 budget allocation markedly relative to preceding years). It provided subsidies to the Tiwai Point aluminium smelter in 2015  (a form of corporate welfare), which distorts the electricity market and this may be slowing progress in achieving a 100% renewable electricity supply for the nation as a whole. It provided ongoing subsidies for oil and gas exploration which is wasteful, will impede investment in renewables, and is moving NZ in the wrong direction. Its fairly open approach to immigration has also been questioned on climate change response grounds (eg, for Auckland, the growing population will increase traffic congestion and related emissions). Stephenson J, Crane SF, Levy C, Maslin M. Population, development, and climate change: links and effects on human health. Lancet. 2013;382(9905):1665-73. doi: 10.1016/S0140-6736(13)61460-9. PubMed PMID: 23849794. Wagner G, Weitzman ML. Climate shock: The economic consequences of a hotter planet. Princeton: Princeton University Press; 2015. Schleussner C-F, Rogelj J, Schaeffer M, Lissner T, Licker R, Fischer E, et al. Science and policy characteristics of the Paris Agreement temperature goal. Nature Climate Change 2016;6:827-835. Howden-Chapman P, Matheson A, Crane J, Viggers H, Cunningham M, Blakely T, et al. Effect of insulating existing houses on health inequality: cluster randomised study in the community. BMJ. 2007;334(7591):460. doi: 10.1136/bmj.39070.573032.80. PubMed PMID: 17324975; PubMed Central PMCID: PMCPMC1808149. Chapman R, Howden-Chapman P, Viggers H, O’Dea D, Kennedy M. Retrofitting houses with insulation: a cost-benefit analysis of a randomised community trial. J Epidemiol Community Health. 2009;63(4):271-7. doi: 10.1136/jech.2007.070037. PubMed PMID: 19299400. 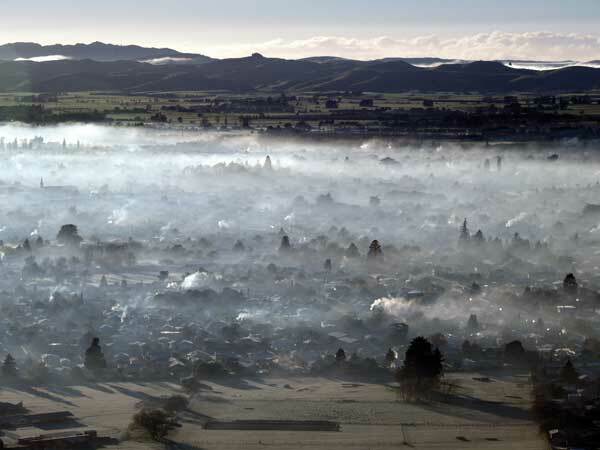 Wilson N, Chapman R, Howden-Chapman P. End-of-term review of the New Zealand Government’s response to climate change: a public health perspective. N Z Med J. 2011;124(1345):90-5. PubMed PMID: 22072175. Bertram G, Simon T. The Carbon Challenge: New Zealand’s Emissions Trading Scheme. Wellington: Bridget Williams Books; 2010. Wright J. Emissions Trading Scheme Review. Wellington: Parliamentary Commissioner for the Environment; 2011. Chapman R. Time of Useful Consciousness: Acting Urgently on Climate Change Wellington: Bridget Williams Books; 2015. Fairfax Media. Govt pays $30 million to Tiwai Pt. Stuff 2013;(8 August). http://i.stuff.co.nz/business/industries/9016725/Govt-pays-30-million-to-Tiwai-Pt.